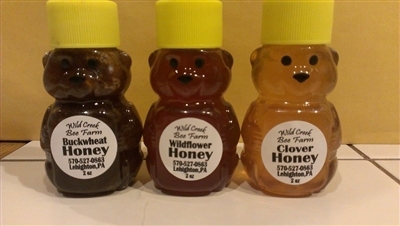 Honey bear bottles are undoubtedly the most popular way to buy this wonderful gift from nature, and now these small bottles of honey have gotten even more adorable than they were before. Rather than purchasing standard 12-ounce bottles, you can now buy 2 oz honey bear bottles for only a couple of dollars each. These are perfect for gifts or as honey party favors that your guests will remember and treasure always. Another great idea is to use these honey bear bottles as honey wedding favors for a ceremony and reception that cannot be sweeter. 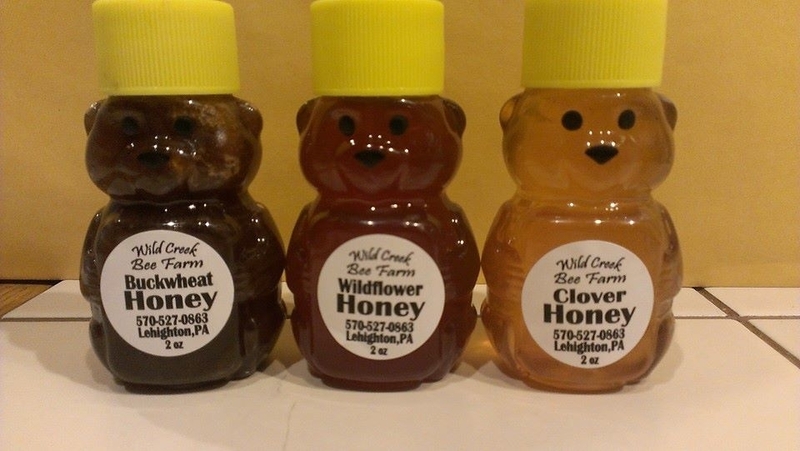 At Wild Creek Bee Farm, we now have small honey bear bottles available in five varieties: raw clover honey, raw wildflower honey, raw buckwheat honey, raw golden rod honey and blueberry. Order yours today to support a local business championing sustainable, chemical-free farming practices.